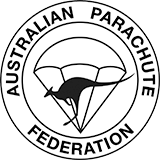 The Toogoolawah Skydivers Club is the drop zone’s long-running Incorporated Club with about 100 enthusiastic members. The Club is all about supporting the fun jumpers, with a strong social and organised jumping focus. It hosts four special Club Member Days throughout the year with 10-jump free giveaways, cheaper jumps and free BBQ dinner. The Club supports many of the boogies throughout the year. It also financially supports the B-Rel coaching of intermediate level jumpers who are Club members. The Club holds a club liquor licence. 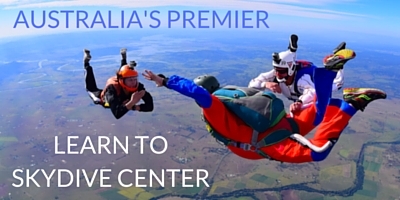 It boasts the largest, most well-stocked fridge and coldroom in what is arguably the most awesome skydiving bar in Oz! The bar opens after the sunset load and the free beer bell never seems to stop ringing! The Bar has an awesome stereo system with strobes, lights and a fog machine to make for excellent dance parties. Membership cost is $45.00 per year and can be paid at manifest or the bar in the evening. TSC Club Members receive a $2 discount on jump tickets throughout the year. The annual membership period runs 1st April – 31st March. As an incentive to get people to renew online, members purchasing their membership online will pay a discounted rate of $37.00. Click to Purchase or Renew Your TSC Membership Online Today! TSC Club members receive a discount on singular jump tickets: $43 instead of $45.